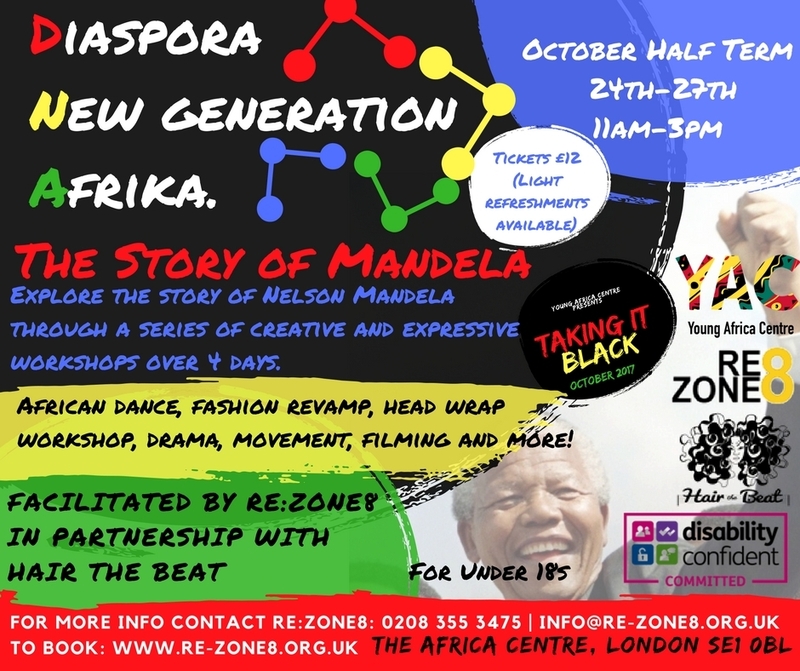 Diaspora New Generation Afrika, a series of 4 workshops over 4 days facilitated by RE:ZONE8 in partnership with HAIR THE BEAT during October half term. Through dance, drama, fashion design, head wrapping and more, students will creatively learn about the life of Nelson Mandela. This event is suitable for 18 and under. Places are limited, to RSVP or for more information click here!